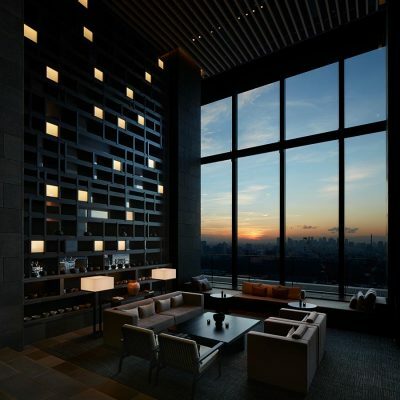 As French revolutions go, this is a fairly subtle one: Paris is no longer the only place to find historical atmosphere combined with cutting-edge design, and these fourteen hotels are living proof. You don’t have to venture far outside of Paris for a taste of the pastoral life. The erstwhile regal residence at Fontainebleau — and its bucolic surrounding forest — feel like a world apart, and Hotel La Demeure du Parc, a well-preserved 17th-century boutique, partakes in the same tranquil pleasures, just on a boutique scale. 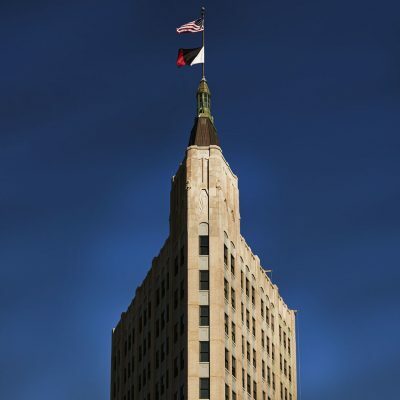 You could pretty easily get used to this sort of thing. If you have even the most passing acquaintance with the world of wine, you know the name Côtes du Rhône. 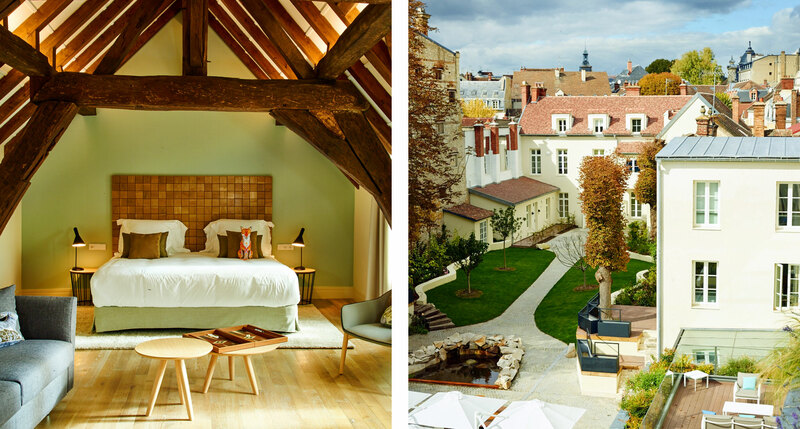 And it turns out this glorious wine-growing region has a glorious little boutique hotel in a mansion right on the Rhone river, in Tournon-sur-Rhône. Hôtel de la Villeon is historic and sophisticated, but nothing over the top — the epitome of good taste in one of France’s loveliest wine regions. 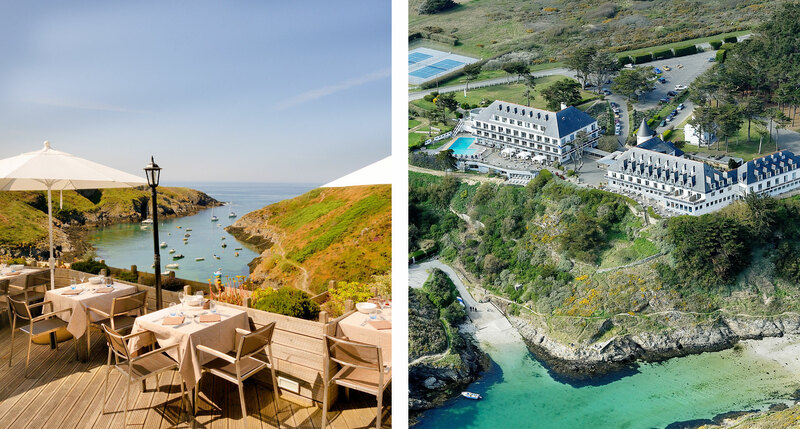 If you speak French then you can probably guess that Belle-Île-en-Mer is an island — in this case it’s off the Atlantic coast of Brittany. And on its southwestern Côte Sauvage is a hotel that’s anything but sauvage — the grand, elegant, and sedate Castel Clara Thalasso & Spa Hôtel. It’s well worth shelling out for an ocean-facing balcony. On the Breton mainland, looking out into the English Channel, is the seaside town of Dinard, the “Cannes of the north.” Castelbrac Dinard is old and new at the same time; this ancient fortification was once an aristocratic home, later a marine research station, and only now has it transformed into a 25-room Art Deco–influenced luxury hotel. Though nominally French, this mountainous Mediterranean island is close to Italy’s mainland and was ruled by the Republic of Genoa for half a millennium. Corsica is a unique place, and counts among the Mediterranean’s better-kept secrets. 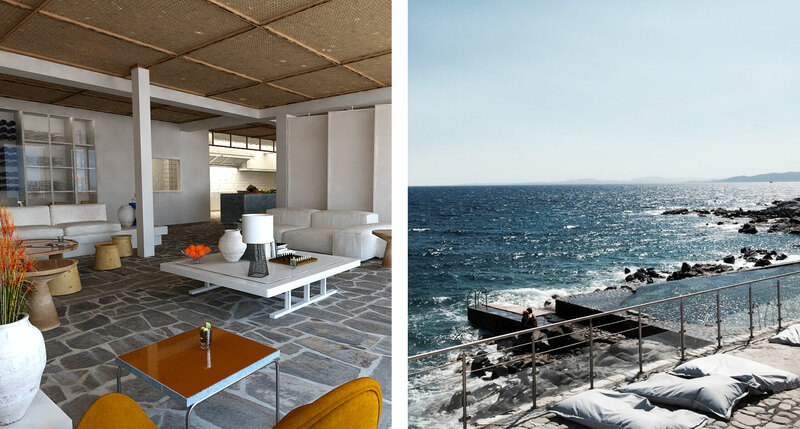 Check in at a hotel like Villa Calvi and you’ll understand why the locals might prefer that the rest of us never quite get the memo, flocking instead to Capri or Mallorca or Mykonos. 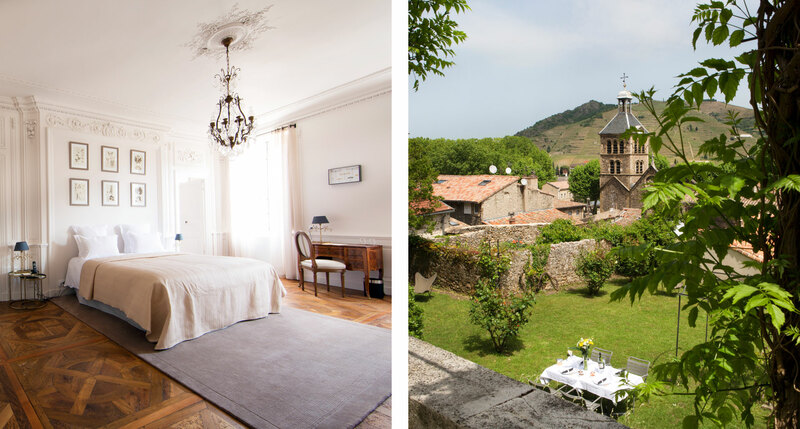 It wouldn’t be a proper French countryside tour without a stop in Provence, and it’s hard to imagine a more quintessentially Provençal hotel than the fortified, luxe-rustic, 16th-century farmhouse that makes up La Maison d’Ulysse — the views, the cuisine, and the architecture are all perfectly adapted to the location’s picturesque backdrop. 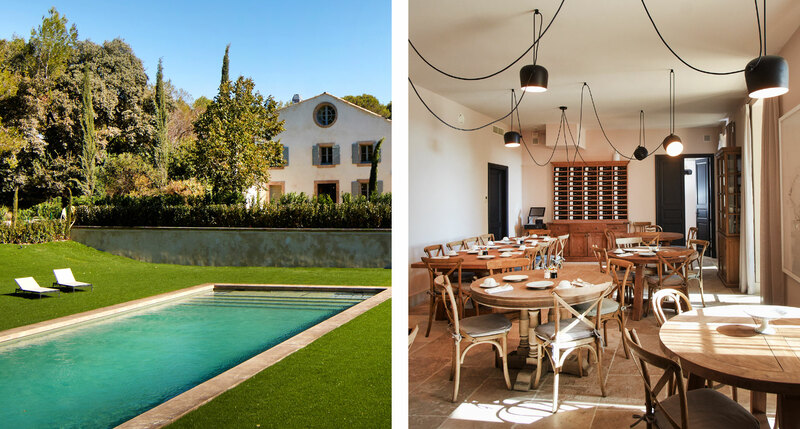 If you detect a certain sheen of newness about the Domaine de Fontenille, in Provence’s Luberon Valley, you’re not mistaken. 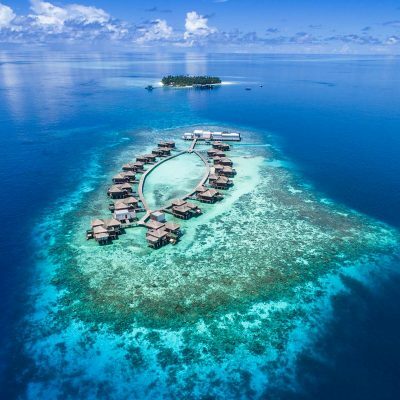 While the house dates back to the 18th century, and the estate to the 17th, in its current incarnation as a luxury hotel, it’s more or less brand new. The food and wine, as you might expect, are first-rate, and the combination of period atmosphere and modern comforts is a winning one. Midway between Cannes and Saint-Tropez, on a stretch of coastline known for its red rocky cliffs, tiny coves, and quiet beaches, is Saint-Raphaël, an old fishing village turned seaside resort, and a place where the Côte d’Azur still feels like a real escape. 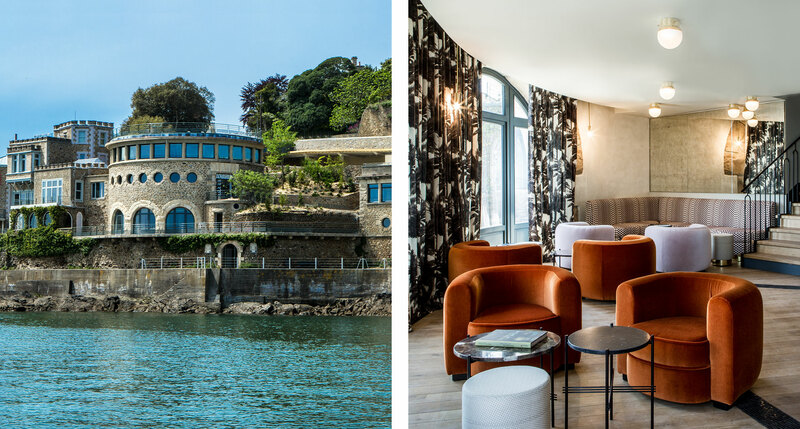 Hôtel Les Roches Rouges dates back to the 1950s, and thanks to a thorough renovation by a pair of Parisian designers, it’s looking as good as new. 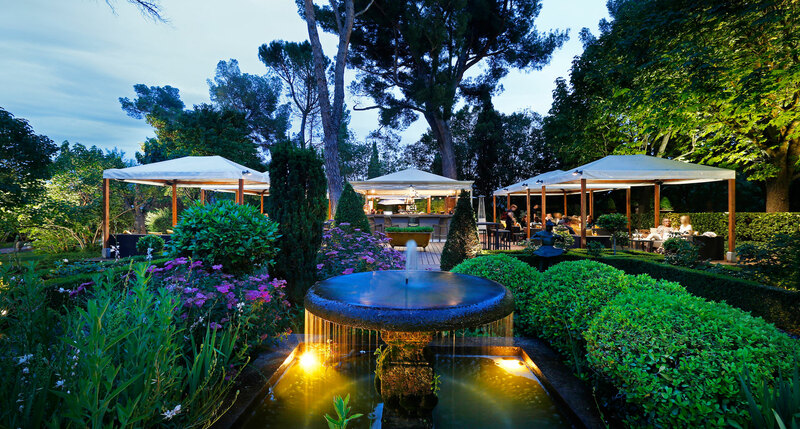 Mas de Herbes Blanches Hôtel & Spa thinks of itself as the Provence’s best-kept secret. 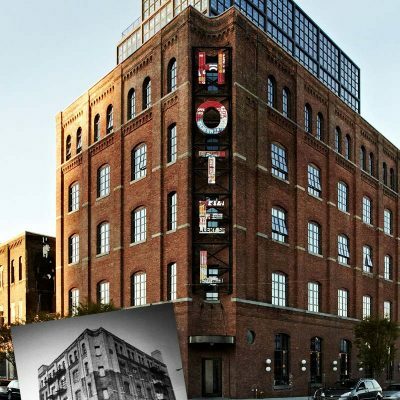 It’s been welcoming guests for about four decades, and received a full-scale renovation in 2016 — so the modern touches you’d expect from a contemporary luxury hotel are all in place. Upgrade to a pool suite for a private outdoor pool and terrace — but even a classic room includes an outdoor balcony with excellent views. Back when Hotel Le Pigonnet was a private estate, it was frequented by the likes of Paul Cézanne, who was often spotted with his easel in the back gardens. It would be hard not to be inspired by the sight of this 18th-century villa — and now that it’s a hotel, you’re welcome to wander these four gorgeously landscaped acres, with or without your paintbrush in hand. 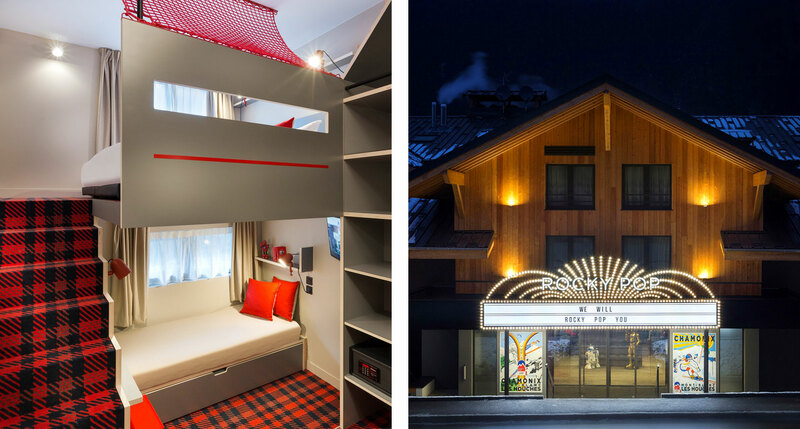 The quirky Hotel des Dromonts was inspired by Le Corbusier’s designs for economic urban dwellings, a project that’s well suited to the utopian origins of Avoriaz, one of a string of purpose-built ski resorts built in the French Alps in the 1960s. 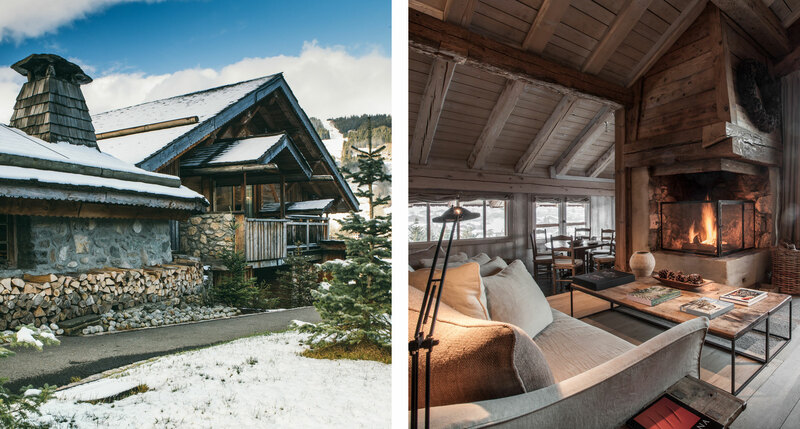 Style is in relatively short supply in the ski hotels of the world, but it’s safe to say this one’s got more than its fair share. Concrete is a divisive material among architecture fans, but if you’re the type to see beauty in Brutalism then there’s a lot to love about Terminal Totem Neige. It’s a Sixties classic given new life by a hip, youth-oriented hotel brand, and it’s a welcome break from the blonde wood and traditional fabrics of the ordinary Alpine hotel. Les Houches, just outside of Chamonix, is home to another attempt to shake up the stuffy world of Alpine lodges. And with a name like RockyPop, it’s clear their intention is to be anything but boring. The vibe is casual, the comforts accessible, the restaurant is proud of its communal atmosphere — and the landscape, naturally, is out of this world. 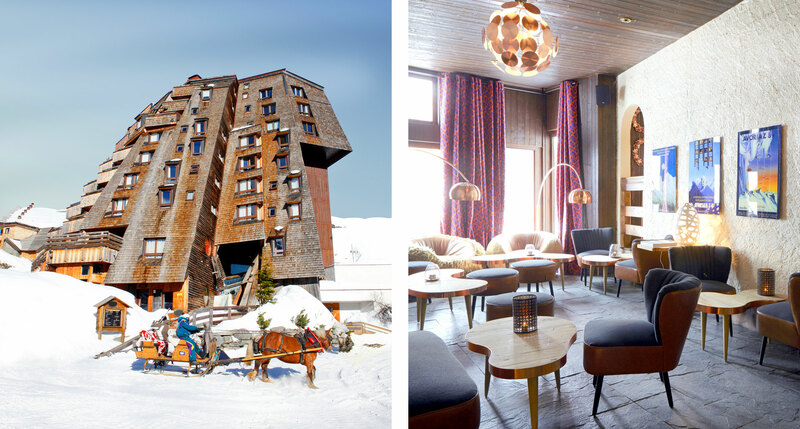 Meanwhile in Méribel, home of the 1992 Winter Olympics, Hotel Le Kaïla sets out the last word in classic contemporary luxury. 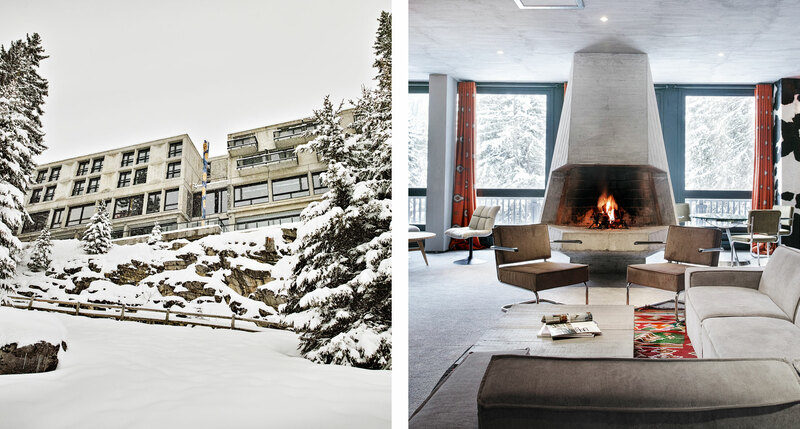 It’s a ski-in, ski-out five-star hotel, complete with a fine-dining restaurant and a spa with a cave-like pool complex, whose interiors strike a perfect balance between kitsch-free vintage poise and smooth, contemporary minimalism — and the mountains, as ever, are the main event. Of course there’s also plenty to be said for the purest form of the Alpine tradition, when it’s done right — and at the tiny, elegant, modern-rustic Le Chalet Zannier, it’s most definitely done right. 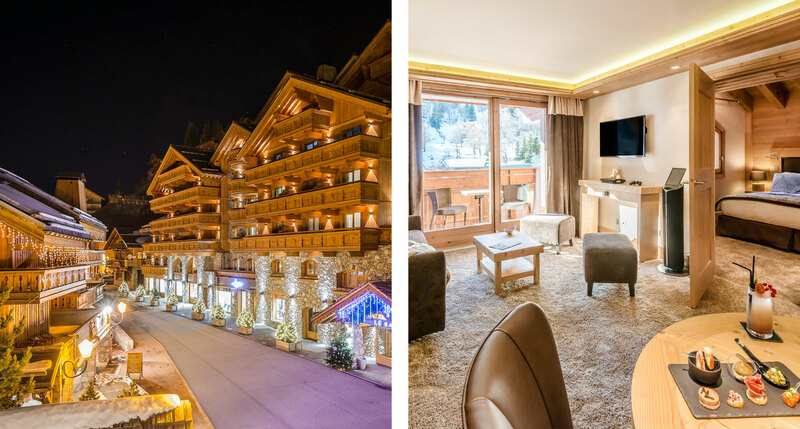 The idea is that you feel like you’re in your own private chalet, but with all the amenities you’d expect at a five-star hotel, and with the charming village of Megève a short distance away. Hotel Du Palais , Biarritz! 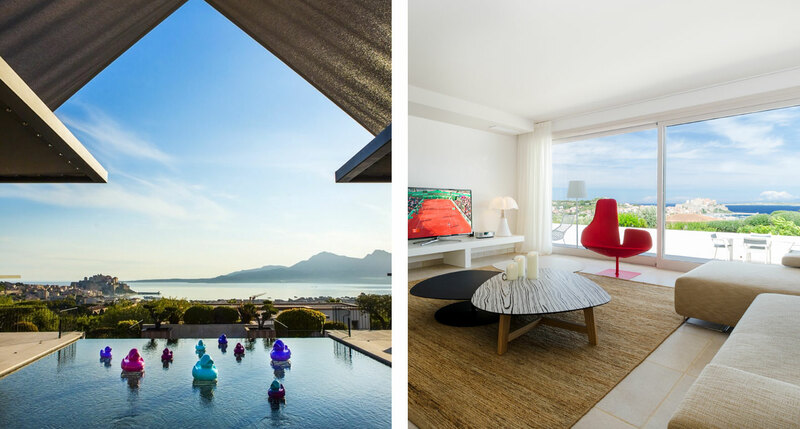 Stayed at La Villa in Calvi – loved it! Had an amazing trip to Corsica back in 2013. The nearby beaches of Saleccia and Lotu were some of the most beautiful I’ve ever seen in the Med. Perhaps only topped by Corsica’s Palombaggia in the southeast. 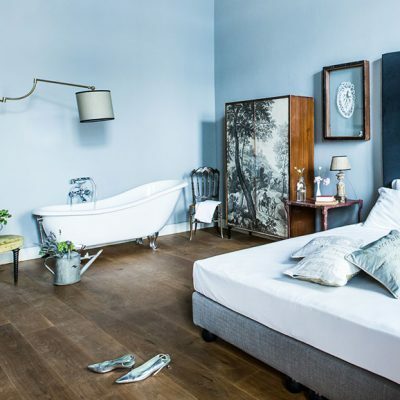 There is a wonderful new renovated hotel in Paris called LE SAINT. Used to be the LENOX, rue de l’Universite, fashionable, wonderful rooms.Look into it.